The International Festival of Psychedelia or Liverpool Psych Fest as its come to be known returns to the city this weekend. Now in its sixth year, the 2017 edition will see over 80 artists perform over the course of its two days. Taking place on Friday 22 and Saturday 23 September across four stages - Furnace, Camp, Blade Factory, and District - alongside numerous other features such as the Pzyk Colony's late-night installation Furnace 2.0, The Pzyk Cinema's 'Psychedelia In Film', and Saturday afternoon's [Musings In Drone] chatshow programme including Drowned In Sound in conversation with headliners The Black Angels. Having once again curated a stellar line-up, here are the 10 acts we're most excited about seeing. This Brooklyn trio have been pushing sonic boundaries for over a decade now having formed back in 2003. Essentially the brainchild of Oliver Ackermann who also makes effects pedals under the moniker Death By Audio, A Place To Bury Strangers fourth and most recent long player Transfixiation came out in 2015 and while they've been relatively quiet on the recording front recently, their live show is still one of the most captivating on the planet today. 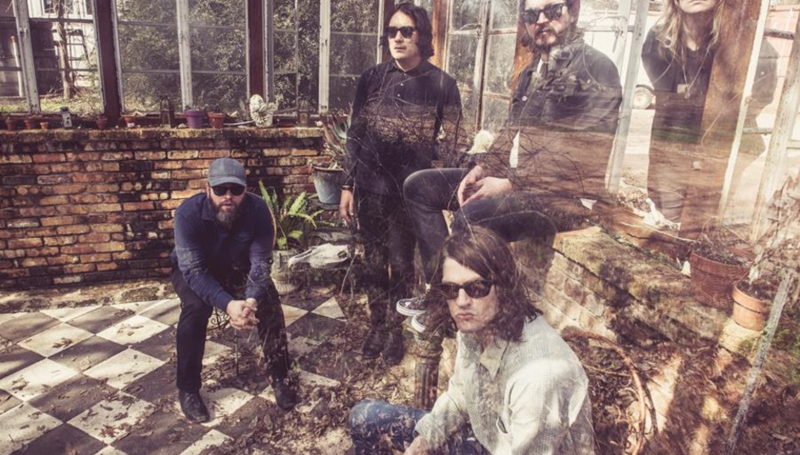 Currently on tour with The Black Angels, their first visit to Liverpool Psych Fest is already one of the most eagerly anticipated sets in the festival's history. This Welsh trio fuse all manners of styles and genres into their mind-melting sonic frenzy. Expect an amalgamation of krautrock, abstract folk, math rock and tripped out psychedelia that's drawn comparisons with Can, Super Furry Animals, and Don Caballero among others. Debut album Fforesteering came out last year to a wave of critical acclaim while their largely improvised live set is a joy to behold in itself. Harald Grosskopf and Eberhard Kranemann can count Kraftwerk, Ash Ra Tempel, and Neu! among the bands they've played with individually but until last year, they'd never actually performed together. Having met at a festival last year they decided to collaborate on an album Krautwerk, which came out earlier this summer. Their midnight set on Saturday promises to be a highlight of the weekend not to mention providing a rare opportunity to see two genuine musical innovators at work. This Boston outfit have been creating tripped out aural blizzards since hitting the ground running in 2010 with the excellent Reverb EP. Veering between classic mid-sixties psychedelia and the garage inspired paisley sound of bands like The Long Ryders and The Othermothers two decades later, their long-awaited debut at Liverpool Psych Fest is not to be missed. This London-based five-piece have been gaining a reputation as one of the most original bands to emerge from the UK psychedelic scene since forming in 2014. Debut long player Sentimental Meltdown comes out next month while in the meantime, they've bagged a couple of support slots with The Black Angels and White Manna into the bargain. Make sure you arrive early Friday to see what all the fuss is about. We guarantee you won't be disappointed. Hailing from Atlanta, Georgia, Omni only came together in the early part of last year after singer and guitarist Frankie Broyles left Deerhunter. However, despite being active for little over eighteen months, they're already on album number two with this month's Multi-Task set to continue where last year's debut Deluxe left off. This Norwegian outfit might be a relatively obscure name to UK audiences, yet they can already boast an extensive back catalogue having released seven albums throughout their career. Formed in 2003, they've been compared to Spacemen 3, Sonic Youth and The Jesus & Mary Chain among others whilst retaining an unmistakable identity of their own. Making a rare excursion onto these shores, this opportunity to catch them in the flesh is not to be baulked at. A band that requires little in the way of introduction having been at the forefront of the 21st-century psychedelic revival since their conception 13 years ago. Undoubtedly a major influence on pretty much every band associated with the scene and founders of the granddaddy of all psych fests Levitation (then Austin Psych Fest) back in 200,. The Black Angels first appearance here off the back of their fifth long-player Death Song looks set to be an explosive, unmissable affair. With thirty years experience and nine albums under their belt, The Telescopes have earned the right to be heralded as legends among the psych-rock contingent. Stephen Lawrie's constantly forward-thinking approach to making music while refusing to conform or rely on the band's back catalogue has made for some intriguing music of which this year's As Light Return long player is the most recent. Their set at Manchester Psych Fest earlier this month blew minds and amps alike and Saturday's teatime slot on the Furnace stage promises to deliver more of the same. For more information on **Liverpool Psych Fest, including full stage times and where to purchase tickets, please visit the official website.